Exciting news: Today I just purchased a Canon Rebel 35mm! I have been playing and experimenting with it all day long and decided when is there a better time to display my favorite jewels? When it comes to jewelry I cannot help it, I am instantly attracted to gaudiness. Gold for me is almost a must, and floral inspired pieces are favorable. Your jewellery looks so pretty! I love that pendant in the third pic. i love that leaf-branch necklace! it's gorgeous. Lovely!!! I love film cameras. I have an Argus, it's very cool but I haven't yet to develop film. oooh, these photos are really lovely! in the last photo I adore the top necklace, and the pearls. all so sweet! I don't think your necklaces are gaudy at all - I think they're fantastic! And I love how you have stored them. Have fun with the new Canon. The details in the pics are pretty amazing and the bow key is mad in the second photo! The lens is pretty good! This is so cool! The depth of field is nice and the focus is so crisp. I've been wanting a film camera for quite some time. I really just need to get one. Ohhhhhh. That's an awesome camera! Sooo jealous. Cute jewelry. That looks incredible. Great photos. Hope you've had a good weekend. Cheers! congrats on your purchase! bonniecakes, i'm jealous. 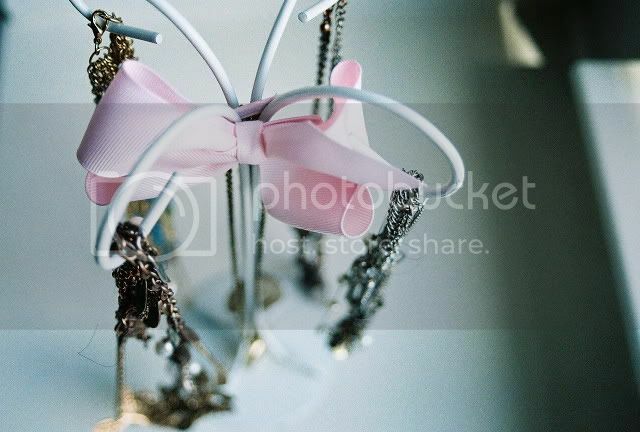 Lovely photographs and necklaces... I love having new cameras! Such fun. If there is one thing that I need more of its jewlery! I've only got like two necklaces and thats it! oooh, you got a new camera! I was just looking at DSLRs yesterday. I desperately want a Canon too. Awesome! Before I even saw the part about the new camera, I noticed a difference in the pictures -- not to say your previous pictures aren't lovely, but this is some high quality stuff! :D Lucky you! Gorgeous photos. i love the jewelry. i can never seem to find pretty jewelry and inexpensive prices that isn't cheap looking. the pictures definitely have a better quality to them. i think my mom has that camera, and it's really fun to shoot with. 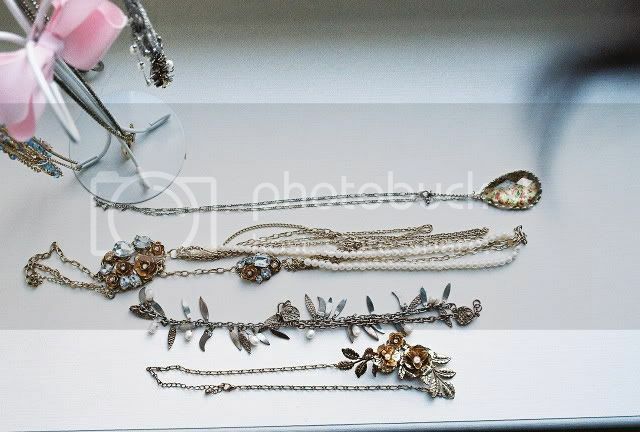 i am in love with the last necklace in the last picture. What a lovely asortment of jewelry! Such clear photographs too.. this make me definately wnat to follow your future experiments! Congrats on the new camera! Great pics & lovely jewlery! 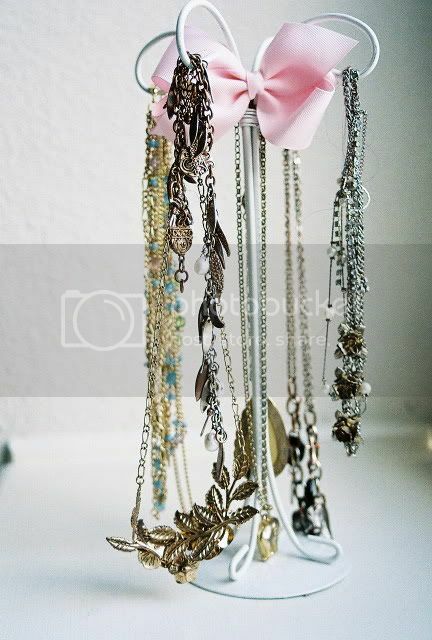 such a pretty necklace hanger thingy!